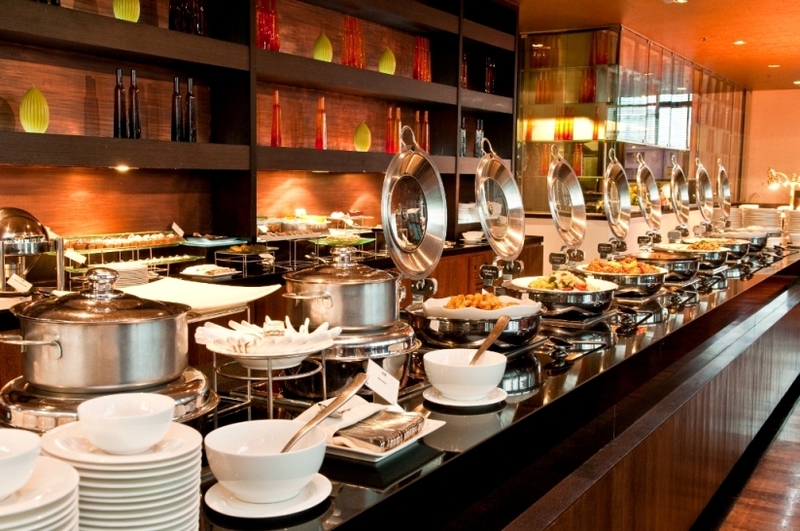 VIEW HOTEL BANGKOK has launched a family brunch every Sunday at VIE Wine & Grill on the hotel’s 11th floor from 11:30 a.m. to 3 p.m. The celebration begins with an array of local and international gourmet temptations, including a delightful abundance of fresh seafood, sushi and sashimi, slow-roasted Wagyu beef, a meat-lovers’ grill, pan-fried foie gras, French oysters, a cheese corner with a variety of condiments, salads, creamy soups, a bountiful choice of fresh seafood, favorite pasta, and more. There’s also a great selection of delicious desserts, including a premium Belgian chocolate fountain, chocolate brownies and ice creams. Youngsters only are welcome to the exclusive Adult Free Zone, filled with mini hamburgers, hot dogs, fried chicken, French fries, milkshakes. Children will be entertained by VIE’s clown balloon artist, with a candy corner, crayons, drawing tables and other activities. During this initial introductory period, Family Sunday Brunch is priced at Baht 900 BHT per adult (food only) and 1,300 BHT (food and free-flow wine) and for 450 BHT per child (6-12 years old). Each receipt includes one free bowling game, a free one-hour Karaoke and free one-hour ice-skating at Blu-O. There’s also a special offer, in which four can dine for the price of three. The offer is valid until Dec. 30, 2012. For reservations and information, call 2309 3939 or email info@viehotelbangkok.com.